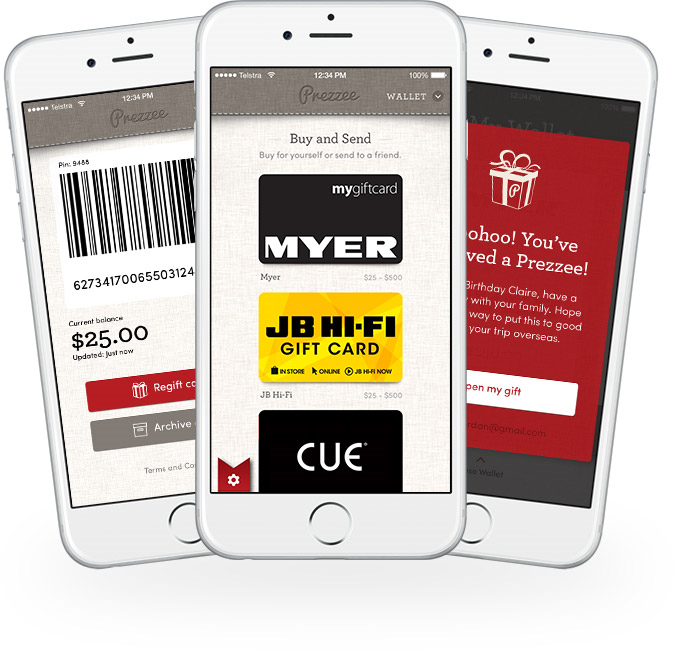 Win at the customer acquisition game with Prezzee’s digital Corporate Gift Cards. In an increasingly crowded marketplace, having a robust customer acquisition strategy has never been more important. There is hardly an industry out there that isn’t in need of compelling and competitive ways to target, secure, upsell and retain customers. The most successful acquisition strategies don’t just address a one-off interaction but work to build a lasting relationship. After all, keeping an existing customer will nearly always be less expensive than securing a new one. Free offers and reward schemes have proven to be powerful acquisition strategies and using Prezzee eGift Cards can be the ideal way to enact such a strategy. Convenient, immediate, customised and personalised for optimal impact, Prezzee’s eGift Cards have significantly upped the game when it comes to attracting customers and keeping them. Giveaways or “freebies” can be a remarkably effective way to generate interest, conversation and goodwill around a product or service. People will usually respond better to a giveaway over a discount. For example, when offered the choice of a $20 gift or a 20% discount, more people are likely to choose the Gift Card option, even if the discount works out to be a better deal. Research from the Journal of Marketing demonstrates that “consumers are inclined to perceive add-ons…as gains but view price discounts as reductions in losses.” Such is the powerful emotional response to being given something for free. The value of a Prezzee eGift Card lies hugely in the choice and convenience it offers. Its worth as a perceived gain goes well beyond its dollar figure. If there’s one thing we seem to love more than a free giveaway, then it’s talking about how we got a free giveaway. The thrill of an unexpected Gift Card when you thought it was going to be a standard old Wednesday? Well, it’s enough to put a spring in anyone’s step. And with keyboard or smart phone already at hand, it’s just a matter of moments before a happy new customer can start spreading the word about their good fortune and your good business. With social media now often the cheapest and most wide-reaching (and, for that matter, niche-reaching) platform on which to advertise, organic, authentic, and credibility-creating chatter can be worth more than your all your paid advertising campaigns put together. Prezzee eGift Cards are an especially convenient and successful way to construct a giveaway strategy because they can be delivered immediately and seamlessly. The customer – or potential customer – receives their Gift Card straight to their digital wallet and can spend it as soon as they like on whatever they like. Whereas a movie Gift Card or store-specific gift card requires the customer to think about the when/what/where of how they can make use of the card and whether it’s worth their while, a Prezzee Gift Card has over sixty retailers for the recipient to choose from. The sheer array of choice on offer makes it an easy decision. Moreover, the positive association of the Gift Card with the corporates that have given it is all the more substantial for its double impact: initially when the Gift Card is received, and then again when it is redeemed. Reward programs are standard practice for many businesses because they are so effective – if done well. There’s not much point making that initial fabulous impression if you don’t then follow it up. Customers now expect rewards for loyalty because it’s easy for them to pack up and go elsewhere if they are not treated right. Prezzee’s eGift Cards are the ideal reward on which to base a loyalty-building strategy. They significantly up the perceived value of any service or membership - again, the opportunity for a gain, and an immediate one at that, is powerful – and the quality, variety and number of retailers they have on board lends credibility to any business as well as appealing to wide demographic. Because they are scalable and can be personalised, they can be deployed at a variety of levels e.g. as sign on gift for new members, or as a reward for a certain number of years membership. Maximise your impact by ensuring your reward scheme is branded and personalised. Recruiting leads, retaining customers, and building brand loyalty are all things that can be helped along hugely by customising and personalising the Gift Card. Instead of a fun but effectively anonymous gift that could be for anyone, a Prezzee eGift Card can be made into something especially for a specific customer and from a specific company. A customer acquisition strategy will have many layers and take many forms but including an eGift Card option as part of that strategy is a sure-fire way to attract and retain customers. There are few more effective ways to satisfy the ever-growing demand for convenience and choice in a cost-effective and streamlined way.